Renewable energy demand and capacity are growing explosively. When looking at numbers for wind energy production, China stands above all other countries. Figures released by the Global Energy Council in late February showed that China has installed far more wind power capacity, both on land and at sea, than any other country. So, why is China such a force when it comes to wind power? Moreover, will it continue to lead the way in the coming years? China is approaching the end of its 13th Energy Technology Innovation Five-Year Plan. The plan specifically mentions wind energy as a focus point, identifying wind turbines with a megawatt (MW) production capacity of between 8 and 10MW as a key technology. 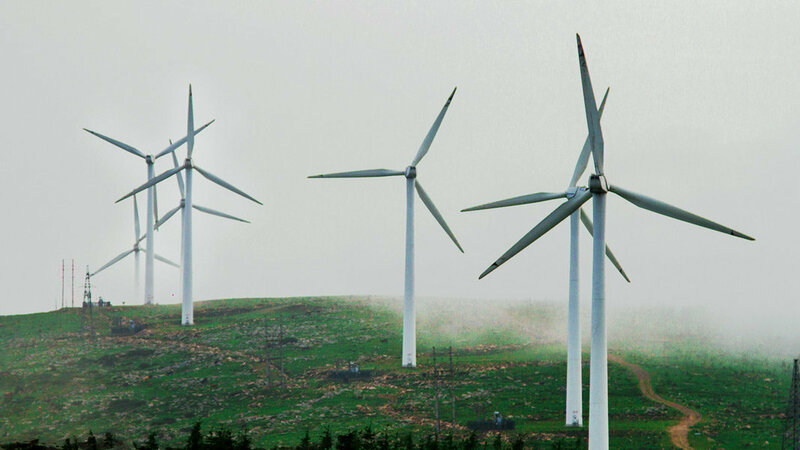 By the end of 2020, China aims to have 210 gigawatts (GW) of grid-connected wind energy capacity. Its capacity at the beginning of 2018 led the world with around 187 GW, compared to 89 GW for the US in second place and 56 GW for Germany in third. China is now the world leader in production, export, and installation of solar panels, wind turbines, batteries, and electric vehicles. It aims to produce 50 percent of its energy from non-fossil sources, including nuclear and renewable, by 2030. A lot of China’s energy still comes from fossil sources, like coal (60.4 percent in 2017) and crude oil (18.8 percent the same year). Renewable energy helps battle air and water pollution. Seven of the world’s ten most polluted cities are found in China, and the fallout from pollution makes for harrowing reading. Air pollution led to an estimated 1.6 million deaths in China in 2012, accounting for roughly 17 percent of all deaths in the country. Calculations indicate that China will be able to lower CO2 emissions by 1.5 billion tons by pursuing a green energy strategy and will create 720,000 new jobs at the same time. All signs point towards wind power continuing to play a central part in China’s pursuit of a green future. Both its land and long coastline are excellently suited for wind power, and the country’s potential wind power resources are estimated to be about 2,380 GW. Finally, a leading position in green energy is conducive to exports of solutions and technology, which China is actively pursuing—for example in connection with its massive Road and Belt infrastructure project. Chinese companies are also very actively investing in renewable energy companies. In the future, green energy will likely be supplied by either Chinese hardware or by a Chinese-owned company. Not all of China’s efforts and initiatives are bearing fruit. While the last decade has seen strong investment across the entire renewable energy sector, estimates point to Chinese wind farms producing less electricity than they potentially could. Grid connection, constraints in grid management, less than optimal turbine models, and siting of wind farms have all lowered actual use of energy generated by wind turbines. As a result, the amount of electricity fed into the grid to displace conventional, polluting power sources, such as coal and oil, has been limited. One study shows that wind energy units (individual windmills) in China were producing much less electricity per unit of installed wind capacity than their American counterparts. While China is investing heavily in a greener future, there is still much work to be done. One of the challenges facing renewables in China is the sheer size of the country; much of its energy production potential is located in the north and northwest, while most of the population is in the east and southeast. This is one of the reasons why China is currently building what will become the largest transmission line in the world, a 1.1 million-volt giant line capable of delivering huge amounts of power over thousands of miles. The Changji-Guquan transmission line is a colossal feat that will be able to transmit 2,000 MW of electricity, enough for 26.5 million people, across China. While this and similar lines will be used to transport renewable energy, most of the electricity transported through them will still come from traditional power sources. Traditional power plants are more stable energy sources. However, the picture is changing rapidly thanks to another solution transforming the energy sector: battery storage. At the beginning of 2018, China had a combined 389 megawatts (MW) of operational battery storage capacity. By August, it had almost doubled that by adding 340 MW of new capacity, laying a foundation for store-able electricity production based on renewable energy sources. China has outpaced all other countries when it comes to the production of renewables, and the same goes for renewable energy patents. As of 2016, Chinese companies and organizations had 150,000 renewable energy patents, equal to 29 percent of the global total. For comparison, US companies and organizations came in second with just over 100,000 patents. In 2017, Chinese companies and organizations filed a total of 76 percent of all renewable energy patents. Among them are some ambitious ideas about the future of energy production that are, quite literally, pretty out there. Perhaps none more so than the idea to build a solar power station in space, beaming back energy to Earth as microwaves. Through the official newspaper of China’s Ministry of Science and Technology, scientists said they are already testing the technology and intend to have it constructed by 2050. It is another example of the country pursuing a position as the world’s renewable superpower and at a time when countries like the US appear to be pulling away from investing in renewable technology.